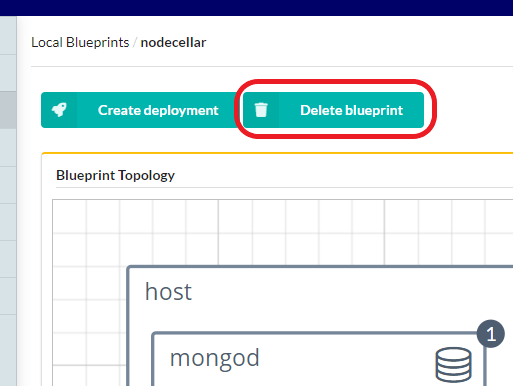 Deleting a blueprint removes its model from the database and deletes its resources from the fileserver. Deleting a blueprint does not delete the deployments created from that blueprint or resources of those deployments. Notice that blueprints that are used in other blueprints are protected for deletion until it has no users or it’s deleted with the force flag. -v, --verbose     - Show verbose output. You can supply this up to three times, for example -vvv. -f, --force`      - Delete the blueprint, even if there are blueprints that are currently using it.